・Bilingual: English and Japanese speaking (required) and written (desirable). ・International drivers license with a safe driving record. ・Skills and experience in operational planning and forecasting. ・Superior analytical and problem solving skills that support resolution of issues and development processes and/or procedures. ・Successful implementation of business process and service improvements that deliver enhanced services and organisational profitability. ・Demonstrated ability to lead and optimise the performance of individuals and teams through the effective communication of objectives and expectations, provision of effective feedback, discipline and recognition and coaching for enhanced performance. ・Superior relationship management skills to develop new, and maintain existing, owner, supplier and tenant relationships and ensure delivery of services in accordance with contracts. ・Cash handling skills for the accurately processing of cash float as required. ・Tertiary qualifications or commensurate relevant industry experience in hospitality and/or management. ・Oversee the development, review, implementation, communication and monitoring of departmental operating plans, agreed budgets, key performance indicators, systems, policies, procedures and service standards for the Front Office Team. ・Recommend changes or enhancements to services and operations and/or identify opportunities to develop strategic alliances or service partnerships. ・Providing direction, support and/or coaching to team members or directly taking ownership if required of any escalated issues. ・Identifying service gaps or opportunities. ・Evaluating potential partners and providers for value and fit. ・Supporting the team to implement agreements and services. ・Overseeing the monitoring of performance and relationship development. ・Facilitating the resolution of escalated issues where required. ・Maintaining own system knowledge and proficiency. ・Providing feedback on system performance and identifying and referring issues and/or reports for further development. ・Ensuring Tour Desk items are accurate and updated within CMS Tour Desk. ・Plan for shifts by reviewing reports and emails, and assigning task to staff. ・Update operating policies and procedures as necessary. ・Train staff to meet operational need. ・Monitor the team's performance, acknowledging achievement, recommending improvement and disciplining where necessary. ・Update operation logs and conduct handovers, team briefings and meetings. ・Report on all major issues or occupational health and safety matters, major guest complaints/issues and significant damage or breakages. ・Ensure all cash handling, money exchanges and monetary transactions are carried out accurately and securely. ・Ensure the Front Office Team attracts, selects and trains appropriately skilled employees. ・Assist the Hotel Manager to develop plans by reviewing post seasonal performance and feedback. ・Develop a suite of profitable guest services for the Concierge to deliver. ・Actively promote and sell the services, products and activities offered by Skye Niseko.Help ensure guests are booking services early for services that have limited availability. ・Ensure all website details are up-to-date and accurate. Employment Status: 12 months full time contract. There will be the opportunity to change to a permanent contract after 12 months. Base Annual Salary: from 4 to 5 million yen plus lift pass, depending on experience and language abilities. 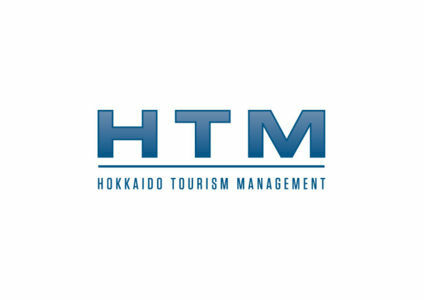 HTM started in 2001 from a love and fascination with Niseko, Hokkaido and Japan and a desire to live, work and play in this wonderful place and community. HTM is licensed as a Condominium Manager, Travel Company and Hotel Operator in Japan and has extensive networks within Japan and the international travel industry.